Hello Arianne! Can you tell me a little bit about yourself and your background in Fashion? I was born in London and lightly marinated in Cyprus. 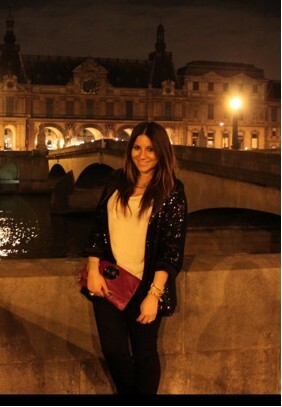 I have a secret love affair with the city of Paris and I spend far too much money on Starbucks. I started Fashion Foam, a fashion and lifestyle blog two years ago which began taking over my life! Fashion Foam gave me the opportunity to attend London Fashion Week where I was able to watch incredible fashion shows, seeing firsthand the creations which influence London’s fashion scene. This was the starting point for the discovery of my passion for catwalk reporting. The love of my life is my SLR camera which has taken on permanent residence in my handbag. I believe some of the best fashion finds can be discovered on the streets of London so my camera is always poised and ready to shoot everyday fashionistas. What are your aspirations as a journalist? As a journalist, my aspirations are to write engaging pieces of work to give insight and information to readers who may not have easy access to the fashion world. Catwalk reporting allows you to witness in the flesh the clothes, fabrics, colours, hair, make-up and music. To be able to translate all of these elements onto paper successfully allowing readers to feel as though they were actually at the fashion show would be the highest achievement. Why did you want to write for Illamasqua? My first love may be fashion but without a doubt my second is make=up. The two are like a marriage made in heaven! Make=up can completely transform a fashion idea and Illamasqua is a fantastic representative of this. I am a firm believer that make=up should be used as a form of self expression. There is no other make=up company quite like Illamasqua who firmly understands this. 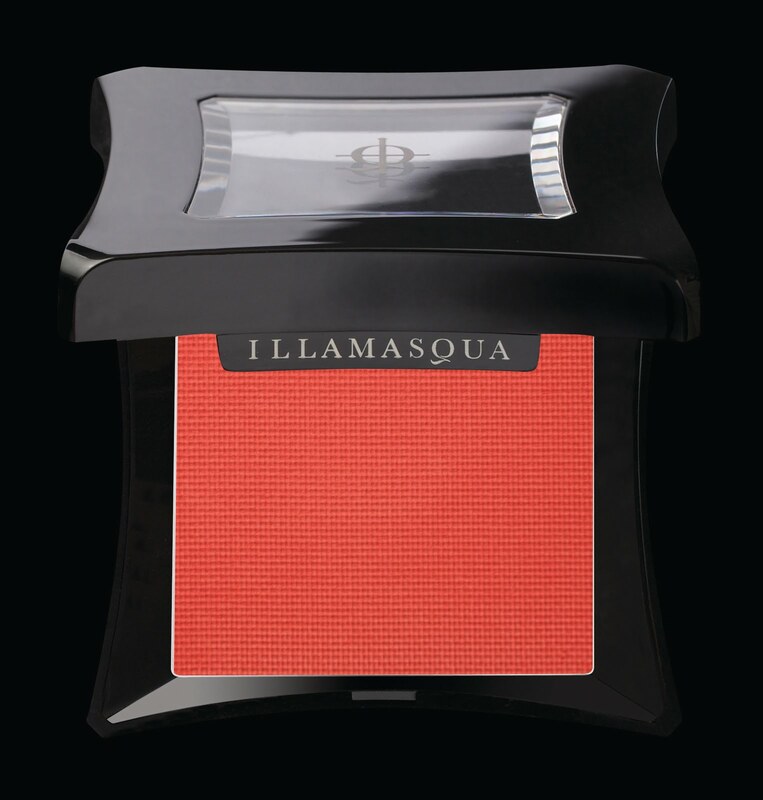 What are your favourite Illamasqua products? I am obsessed with Nail Varnish in Obsess! This loud shade of almost fluorescent pink with a hint of purple makes me stand out from the crowd. It’s perfect for summer days in the bright sunshine and looks great with a tan. My other favourite is Illamasqua’s powder blusher in Excite. I apply this vivid apricot colour to my cheeks first thing in the morning before I go to work and because it’s highly pigmented, I never need to reapply! At the end of the day the powder hasn’t budged from when I first applied it in the morning. Is this not every woman’s dream?! How much do you think a make-up and hair look contributes to a designers fashion show? Hair and make-up are vital contributions to fashion shows. Whether designers choose to keep hair and make-up to a minimum or use extremely elaborate designs to partner the clothing, they send an important message about what the designer wants to portray. Designers such as Christian Dior often turn the runway into a theatre. The hair and make-up are made just as theatrical as the clothing which only enhances the magic of the catwalk experience. What has been your favourite make-up and fashion trend for SS11? All things neon! Christopher Kane has always had a flare for fluorescents and his S/S 11 RTW collection was full of obnoxious brights which left the fash pack swooning. Mulberry put the satchel back on the map with the Alexa and this season, The Cambridge Satchel Company gave this traditional bag the ultimate modern update by releasing super neon colours for the summer season. What do you think will be a big make-up and fashion trend for AW11? There are extremely talented designers such as Erdem, Alexander Wang and Christopher Kane making huge impacts on the runways. I believe it’s these names we should be looking to for trend inspiration for A/W 11. This means plenty of prints and unusual textures on wardrobe staples such as chiffon blouses, tailored trousers and trench coats. As for make-up, sculpted red lips rule supreme in my books! Whilst my skin has been sporting every colour of the rainbow this season, for A/W 11 it’s time to swap the bright for the highlighted. Rather than using a vibrant colour on the eyes, I’ll be sweeping a terracotta colour across my lids then highlighting the inner corners of my eyes and brows. Illamasqua Illuminator in Halcyon is perfect for this! My alter ego is a creature of the night. She embodies the real me through fashion and makeup. She is supercharged and walks around like a champion. She dominates the clothes she puts on and mesmerises you with the art that she creates on the blank canvas that is my face. My alter ego is RAW. Look out for Arianne’s monthly feature on the Illamasqua blog – next month, What Is More Powerful in Directing Make-up Trends: The Street or The Catwalk? At Illamasqua we see beauty in everyone and everything. We believe in celebrating individuality, diversity & self-expression.